Ironically, I type this whilst wearing 2 pairs of socks and the heating on full (and still freezing! ), but believe or not summer is around the corner, and the way this year is going it'll be here before we know it! I'm always so reluctant to start shopping for summer clothes as I cannot bear the thought of parting with my all black errrrrythang and having to shave my legs on the regular so I can wear dresses. 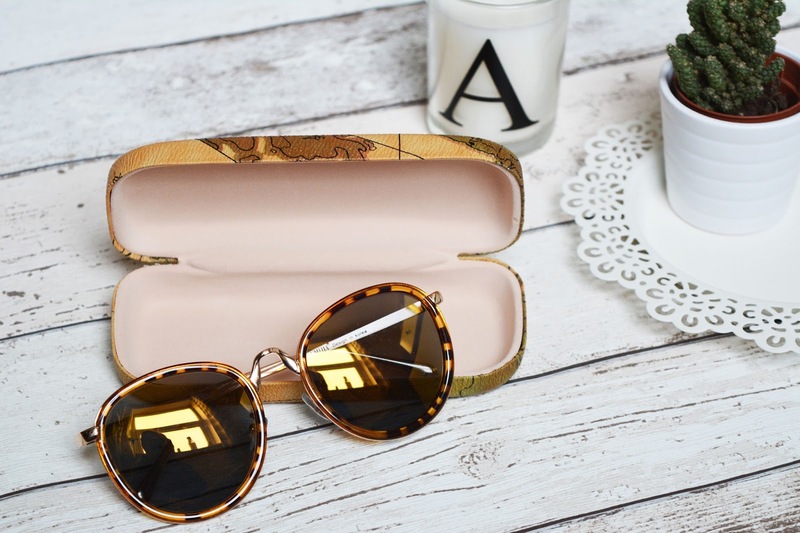 I am, however, excited to bring sunglasses back into my life and I was delighted when I was contacted by the lovely people at firmoo.com to pick out a brand new pair to style! I'm a massive lover of big round quirky styles, so picked out this gorgeous pair with mirrored lenses and tortoiseshell effect frames. Delivery was super quick considering they came all the way from the US, and within only a few days of placing my order they'd arrived! I was really impressed that they came in this cute map print hard case too, which will make them perfect for travelling, and they even come with a handy little cleaning cloth too. The quality of the sunglasses themselves is pretty great as well, and although I was dubious at first as I hadn't heard of the company, they look very well made and far more expensive than they are. 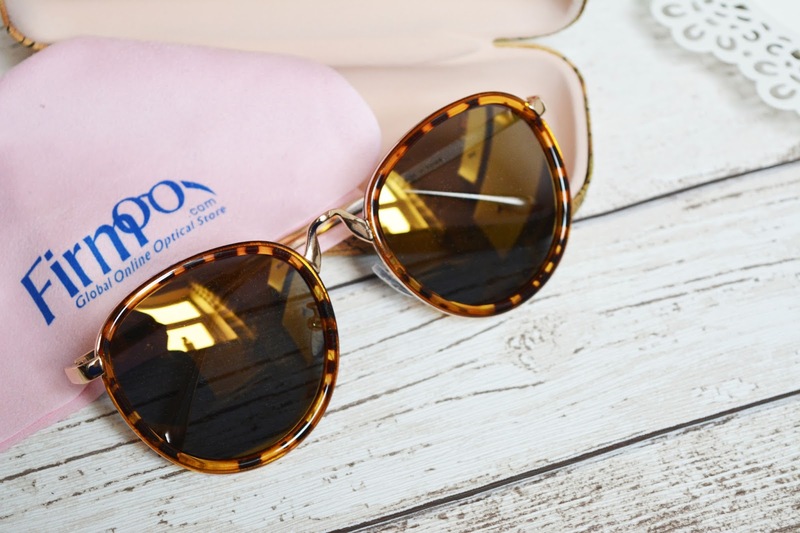 The site offers non-prescription and prescription sunglasses and eyeglasses, most of which will set you back as little £12 and there's so many styles to choose from in alternate colours - bonus! Where is your favourite place to shop for sunglasses? *Post contains a PR sample, but all views and opinions are my own! Here in Poland it's still cold, too, but to my own surprise the sky has got pretty clear recently and I actually started to need sunglasses again! I love the style that you've chosen, especially the pattern on the frames. I have to start looking for a new pair of sunglasses, too. 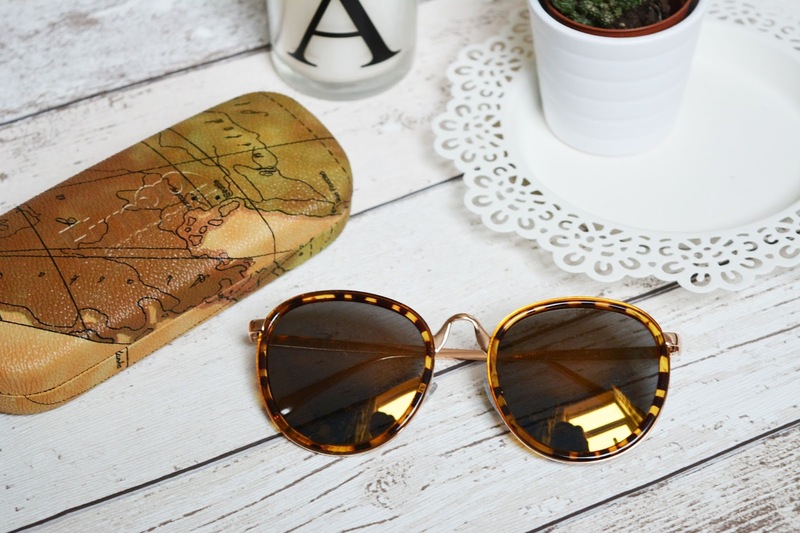 these sunglasses are gorgeous! Love the shape and the colour! love these they're so cute!! I love these! I've always been a huge fan of tortoiseshell sunglasses regardless of the shape although I am a fan of rounder styles too. Love these frames, they're gorgeous!